We have three campuses in Western Australia, each offering a modern, vibrant location for study and learning. Our campuses feature up-to-date facilities including wireless internet, 24-hour access to computer labs, libraries with open study spaces outside office hours and a safe environment for you to study in, either by yourself or with other students. 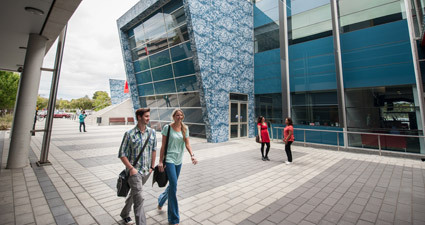 Our Joondalup Campus is the University's headquarters. 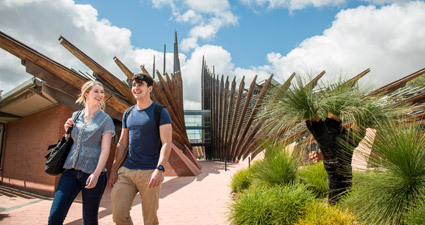 The campus boasts state-of-the-art facilities, including the Health and Wellness Building, a multi-million dollar sport and fitness centre, an award-winning library and student hub, a microbrewery, an outdoor cinema for the summer months and on-campus accommodation. Our Mount Lawley Campus is only minutes from Perth CBD and the Beaufort Street cafe strip. It is equipped with extensive teaching resources, first-rate IT and performing arts facilities, a sport and fitness centre and on-campus accommodation. The campus is also home to the Western Australian Academy of Performing Arts (WAAPA).